The quietest, most private room in the building! The room is spacious and so is the private bathroom! 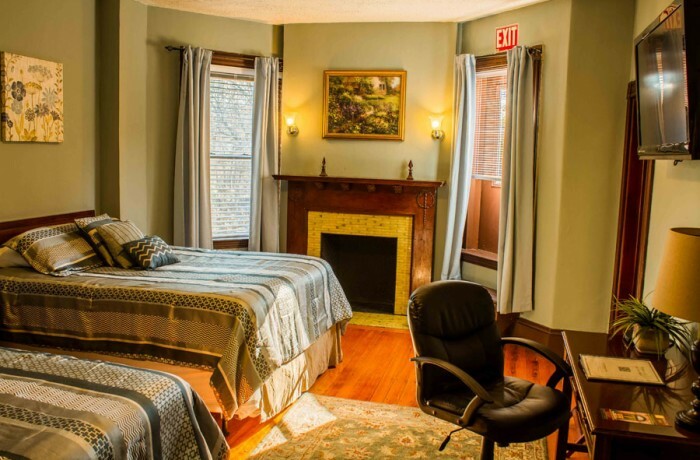 This room offers two queen beds, a flat screen television, an ornamental fireplace, and a writing desk and chair.